← #FitnessFriday: Get Out, Get Active! 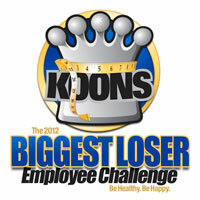 #Fitness Friday: Koons “Biggest Loser” Challenge Results! Combined weight loss of the organization: 5,603.10 POUNDS!! 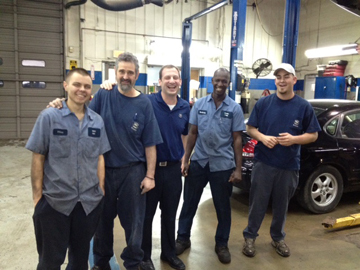 Our winning dealership team had 29 contestants with an average of 14.04% weight loss and a total of 957.30 pounds! Congratulations to Mike Victor from Baltimore Ford for being the #1 weight loss winner at 25.87% Weight Loss! We definitely can say this challenge was a HUGE success! It not only rallied the entire Koons team around a healthy cause, but it also made our organization healthier in the process. As we all know, healthy lifestyle choices are a lifelong initiative that require daily maintenance! But, in the end, will allow us to live longer – and healthier – lives. Here’s to a happy and healthy rest of 2012! Posted on April 20, 2012, in 2012 Biggest Loser Challenge, Automotive and tagged 2012 Biggest Loser Challenge, biggest loser, Crystal Koons, diet, exercise, fat, fitness, Fitness Friday, food, health, Koons, Koons Automotive, Krystal Koons. Bookmark the permalink. Leave a comment.